Our goal is to hit biodegradable golf balls at the world’s most beautiful waterfront locations. We travel around the world to produce waterfront driving ranges at beautiful waterfront locations. Our water golf productions are perfect for corporate and social events. We also create productions for the public, including our Splash City Golf League and Open Swings. Our floating targets are built to travel around the world with us. 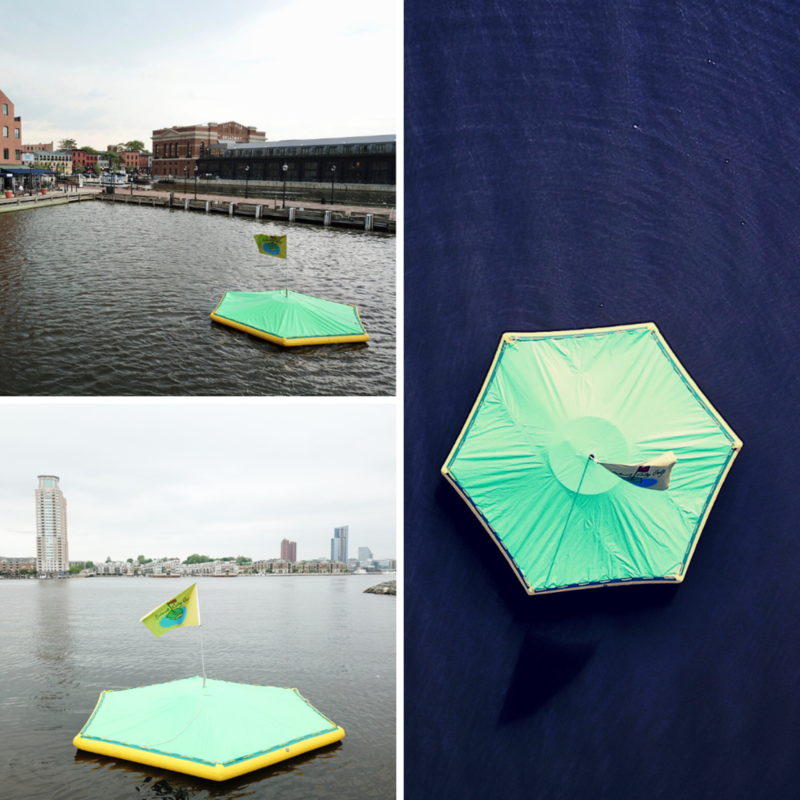 They are 16 ft in diameter, contain a boat motor, and are driven via an iPad app. Hitting biodegradable golf balls into the water is fun, but hitting biodegradable golf balls at floating targets in the water is REALLY fun. Our floating targets are available when you book us for a private event, and at public events we host throughout the year. We use Albus brand biodegradable golf balls at our water golf productions. These golf balls are biodegradable and non-toxic, and contain fish food in the core of the ball. Albus golf balls fly 60-70% the distance of a normal golf ball. Our team is dedicated to creating amazing water golf productions for group’s event…and we have a lot of fun doing it! We promise to always be friendly and helpful over the phone, at events, and everywhere in between.